Bimini was the inspiration for Ernest Hemingway’s famous novels The Old Man and the Sea and Islands in the Stream. When he lived here in the late 1930s, the islands were the domain of big game fishermen and other adventurous souls who wanted to be close to nature. Seventy years on, Bimini is moving in a very different direction. At Triangle Rock, a spot famous for shark diving, a Caribbean reef shark Carcharhinus perezi cruises below the surface with a school of Bermuda chub Kyphosus sectatrix in the late evening light. As high-order predators of marine ecosystems, sharks are indicators of biological abundance. At Bimini they highlight the productivity of the waters around the islands, which showcase a plethora of elasmobranch species. Denver Stuart, a 26-year-old Bahamian with an accent that falls somewhere between an American basketball player’s and a 17th-century pirate’s, is agitated as he steers us across the bright blue sand flats off the island of East Bimini, or East Wells as it is known to locals. As is often the case with tropical lagoons, we are at the mercy of the tide and need to time things carefully to find what we are looking for. Denver pauses occasionally to point out a large shark or stingray that propels itself away from the boat, sending up a plume of sand. The tide is high and there are large predators everywhere, taking advantage of the deeper water that gives them access to the vast mangrove system on our left. Denver is both pleased to have someone to vent his anger to and nervous of what I am writing down. He was hesitant to speak at first but, like a can of soda that has been left in the sun for too long, now that his words have started to flow, they are streaming out like red-hot lava. We are closing in on a spit of bright white sand dotted with seagulls and a pair of large brown pelicans. Denver gestures towards it. ‘All this land here was added in the last 10 years or so. It looks like nature itself what formed this pretty beach, but it ain’t nature. What really formed this is the dredging what they did on the west side of Alice Town and the west side of Bailey Town,’ he explains. The sand bank runs parallel to a flat mangrove island fringed by large pines. Between the two is a channel, the gateway to ‘God’s own nursery’ as Biminites refer to the island. As our boat starts to move slowly along the channel, I reflect on the symbolism of the narrow passage that limits entry into this special place, a hidden network of mangrove waterways that functions as the womb of the Great Bahamas Bank. This is East Wells Island, the smallest of the three tiny land masses that make up Bimini, an archipelago in The Bahamas. Denver points towards the trees on our left and sighs. ‘These mangroves are so big and so massive, they could have been here from when the dinosaurs was here,’ he says. ‘Nature put them here. Man ain’t put them here, but man wants to rip them out. This land was supposed to be protected, you know? It’s supposed to be land for our generations to go on here on the island.’ I peer over the side of the boat to watch the ripples of light moving over the sea grass below us. We are here to experience the magic of East Wells, but also because, if local rumours are true, it is under serious threat. The boat cruises to a halt and Denver ties up to the mangroves. We disembark and follow him onto the island, taking a path that leads back out to the lagoon. He wades into the ankle-deep water and points triumphantly when he finds what he is looking for. Submerged in the shallows is a concrete cylinder with a pipe sticking out from its centre. Despite its benign appearance, this bit of concrete could spell disaster for East Wells. It is a land marker and, as Biminites have learnt, land markers are a precursor for development. 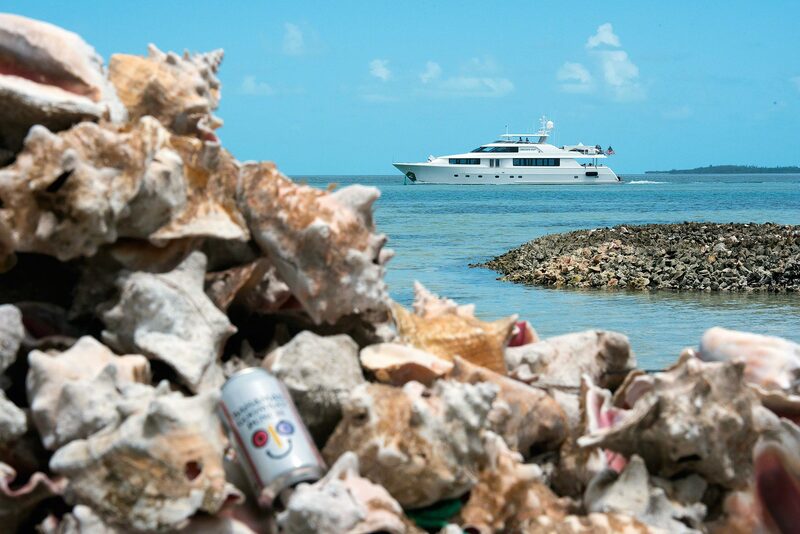 On Bimini, East Wells is the final frontier. We walk further inland and find another concrete cylinder. ‘Whoever put that marker there, either they did it with the government’s permission or they did it without the government’s permission,’ Denver says wryly. We have seen the flashy pamphlets that advertise ‘Rockwell Island’ and promise ‘ownership of beach and island estates for a privileged few’. The exclusive estate will boast US$3-million private homes, a wellness centre ‘with meditation garden’ and an 18-hole golf course. The Bahamian economy is almost entirely dependent on the tourism industry, which employs about half of the local workforce and earns 60% of the country’s gross domestic product. 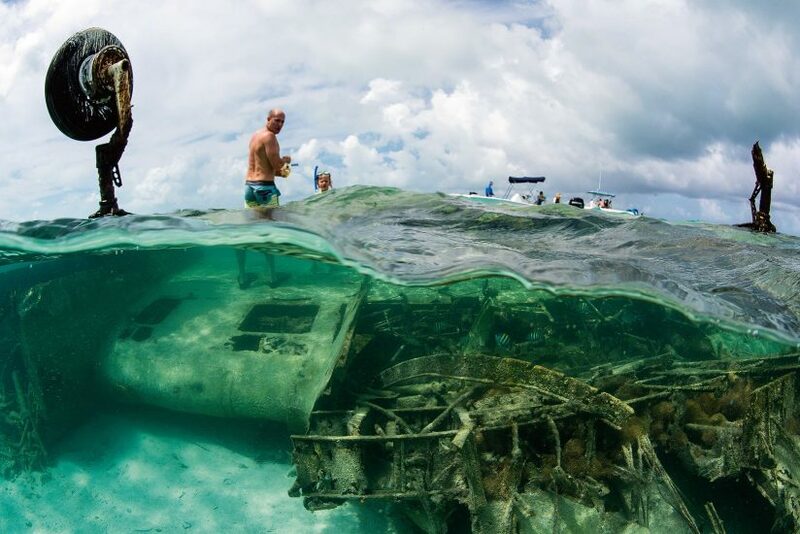 Despite lying only 77 kilometres (48 miles) from Miami and being the inspiration for Ernest Hemingway’s Old Man and the Sea, Bimini has remained surprisingly little known and undeveloped, attracting the kind of tourists who were drawn to its excellent fishing and authentic ‘Caribbean island flavour’. A juvenile lemon shark Negaprion brevirostris swims along the channel leading to a sheltered mangrove habitat, which young sharks use as a safe refuge from predators, including adults of their own kind. The mangrove ecosystem is a critical habitat and nursery ground for countless species of marine organisms. The first sawfish I ever saw was on the west side of the North Sound in North Bimini. That place is now part of [Bimini Bay’s] marina where all the big boats are docked. That habitat, the very place where I first saw a sawfish, no longer exists,’ says Dr Dean Grubbs, who helped to establish the Bimini Biological Field Station and is one of the world’s leading sawfish experts. That place is also where Denver learnt to be a bonefish guide. A bird’s-eye view of a mangrove island, with the Bimini Bay development in the background. As the only mangrove system on the western edge of the Great Bahamas Bank, this productive habitat makes a considerable contribution to the biological abundance of this region. A large section of mangroves has already been removed for the resort and ongoing development threatens the remainder. ‘The unique thing about Bimini is that if you look behind me, you find the Gulf Stream,’ says Professor Samuel ‘Doc’ Gruber, gesturing over his shoulder. 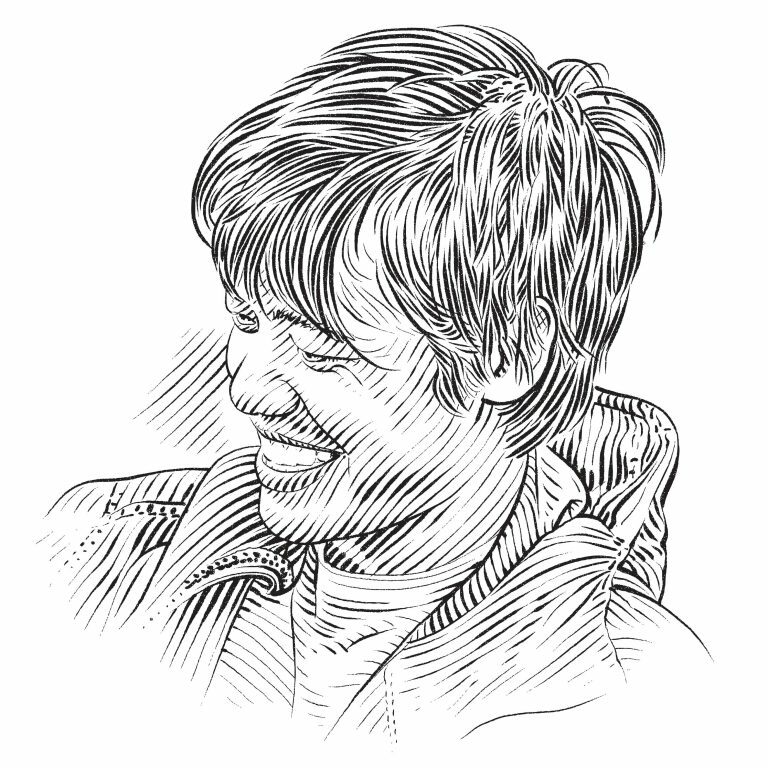 He is the founder of the Bimini Biological Field Station, also known as the Shark Lab, which he established in 1990. He is sitting in a large wooden chair on the patio of Coconut Cove, a house on South Bimini. Every now and again he raises a hand to swat at a mosquito or sand fly. The Gulf Stream is a warm conveyor belt of nutrient-rich water that brings life to Bimini and much of the North Atlantic. The current is loaded with larvae picked up as it flows along the coast of Central America. The larvae develop in the current and every day the tide brings these pristine waters to Bimini where, if they are lucky, the tiny organisms will find a home. ‘All of the reef fish, all of the conch, all of the lobster, all of the invertebrates, they mostly come from the plankton and they come in here and settle. And you know why? Because if you go all the way from here down to Cuba, you will find basically no mangroves. Bimini is the only spot in the north-western corner of the Great Bahamas Bank that has mangroves,’ explains Doc. 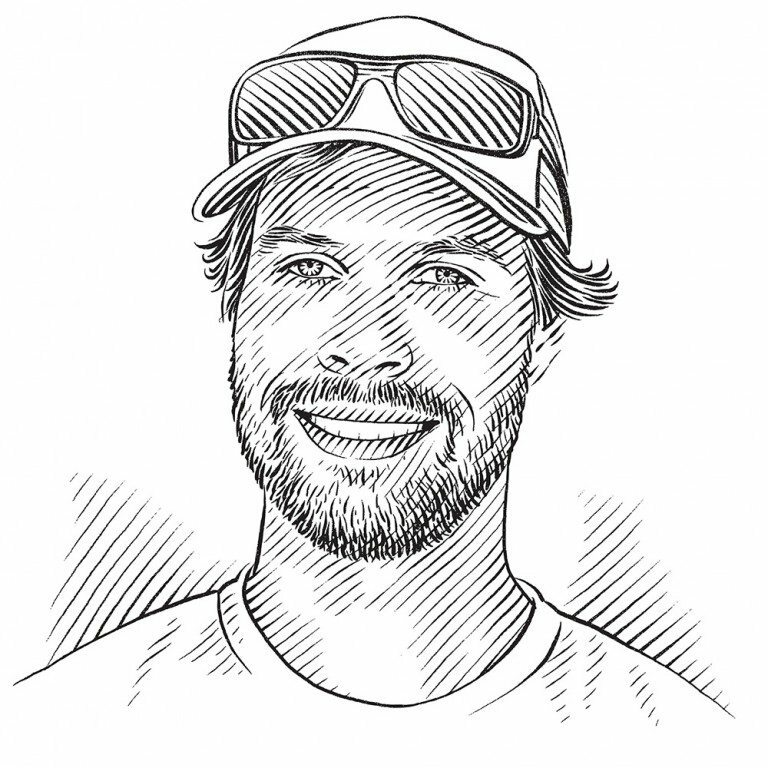 ‘It just so happens that Bimini is big enough to support mangroves and that is why it is such a paradise for sharks and why it used to be called the world’s greatest sport-fishing capital. It’s not that any more. Now it’s a gambling casino or something,’ he concludes with a sardonic smile. Another threat is nitrification. When the seabed is dredged up, it releases nutrients into the water that lead to algal blooms. The waste created by a growing population exacerbates this problem. Dean describes seeing for the first time ‘big mats of bacteria’ in the North Sound. Doc is concerned that this degradation could be severely amplified by the construction of a golf course. ‘Right now, the entire east side of Bimini is preserved and there is no golf course. Once there is a golf course, you get a tremendous need for water. You get tremendous need for manicuring the golf course and you get fertiliser run-off,’ he explains. Professor Samuel ‘Doc’ Gruber speeds away from the wreckage of SS Sapona. In addition to having studied sharks for more than 50 years and contributed numerous articles to scientific publications, Doc is the founder of Bimini Biological Field Station, more commonly known as the Shark Lab. Many leading shark researchers cut their teeth in the field at this world-renowned research station. A short ferry ride from South Bimini lies Alice Town, the southernmost settlement on North Bimini, the most populous of the islands. A few tourists are wandering in and out of air-conditioned shops and a steady stream of golf carts passes by, mostly filled with young Americans sporting selfie sticks in one hand and a beer in the other. Drunk driving seems to be tolerated, but it is clearly a problem; earlier in the week, two golf carts found floating in the lagoon had been driven straight off the end of the island. I turn right off the main road into the Sea Crest Marina, one of Bimini’s older establishments. In the background, a stream of million-dollar boats motor up towards Bimini Bay. Sea Crest, owned by the Sweeting family, is not as busy as it used to be. Since the development of the resort, business has shifted northwards. A couple of game fishermen have paused in gutting their catch, distracted by something in the water below the pier. I follow their gaze and am surprised to see two large bull sharks cruising below us. Bimini truly is a real-life theme park for shark lovers. Where else can you wake up to watch juvenile lemon sharks weave their way through mangroves and then catch a quick snorkel with nurse sharks and eagle rays, followed by a lunch-time picnic down at Honeymoon Harbour to hand-feed southern stingrays and then spend your evening watching bull sharks from a marina? ‘Doc’ Gruber throws bait to an approaching Caribbean reef shark Carcharhinus perezi while a group of snorkellers observes the feeding. The Shark Lab has been playing an active role in education by running tours for visitors and offering field research experiences to the public. On my way out of Sea Crest I meet Alfred Sweeting Senior. His property is next door to Bimini Bay and there is something that he would like to show me. North Bimini is only 11 kilometres (six miles) long so it’s a quick ride up to Al’s house. We drive down to the edge of his lawn and look out at paradise. To my right our view is interrupted by a massive concrete pier that stretches hundreds of metres into the sea. The dock was completed in 2014 so that the resort could bring its casino ship in from Florida. The cruises ran for just over a year before being abandoned, although a new company has recently resumed operations. A Caribbean reef shark Carcharhinus perezi with its nictitating membrane half-closed bumps the camera at Triangle Rock, a popular spot for shark diving at Bimini. Sharks are protected throughout The Bahamas and their populations remain abundant, making the country one of the top destinations for shark diving in the world. The Sweetings’ bright green lawn stretches from the road all the way down to the sea. In fact, it is literally crumbling into the sea. This is what Al wants me to see. Since the ocean floor was dredged to build the pier, the west side of North Bimini has experienced massive land erosion. In just one hurricane season the entire beach disappeared. Al is fortunate that his house is about 100 metres (330 feet) back from the ocean, but his neighbours have had to build retaining walls – and even they are crumbling too. A little way down the road in the Bailey Town graveyard, I had watched contractors trying to build up the land to prevent tombstones from tumbling into the ocean. As we drive back towards the road, Al points up to the balcony that wraps around the second floor of his house. ‘The view I get really turns me on. They didn’t have this over there [Florida] and the ones that liked it always came back,’ he says sadly. Al and his home belong to a forgotten era. Less than 100 metres up the road beats the corporate heart of modern Bimini. A freakishly out-of-place concrete archway marks the entrance to Bimini Bay Resort and uniformed guards wave at me as I walk through it. The large fountains, paved footpaths and bright green lawns are a far cry from the potholed roads, colourful wooden houses and narrow pavements that I had seen throughout the rest of North Bimini. A few hundred metres from the gate a brand-new building glistens in the oppressive heat. The Hilton Hotel opened in June this year and boasts more than 300 rooms, multiple bars, pools and a casino. I gasp as I walk into the foyer. The air-conditioning has been cranked so high that my body is struggling to make sense of it. I look over at a group of semi-sober men in their late twenties who are juggling for space at the bar. ‘There’s a really nice pool on the fifth floor,’ one slurs to his friends. This is a good place for tourists who want to go on holiday without feeling like they ever left home. On a humid weekend evening, a crowd enjoys live music at Stuart’s Conch Shack, a popular spot frequented by both locals and tourists. Being so close to Miami, Bimini is an easy getaway for tourists and there are ongoing developments on the island to accommodate larger-scale tourism. These sentiments are echoed by Cardinal Bain, one of the activists mounting a campaign against the Hilton. ‘We want to embarrass them. For hundreds of years we lived here and fished here. We don’t need the resort if it costs us our ecosystem,’ he tells me. 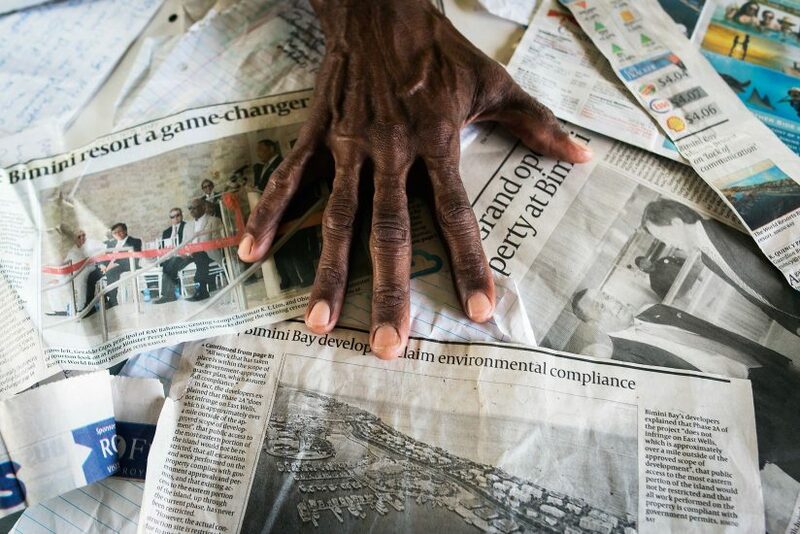 ‘Money changing hands makes a strange creature of people,’ he adds. Like most of the locals I have spoken to, he only hints at foul play between the government, developers and associated business owners. At present he works at a locally owned bar. His greatest fear is that if the development destroys East Wells, local businesses that have relied on it will fail and Biminites will be forced to find work at the hotel for minimum wage. Two hundred kilometres (125 miles) south-east of Bimini lies Nassau, the home of Baha Mar, a US$3.6-billion development that went bankrupt before it even opened its doors. If developers press on with their plans, the nursery habitat might never recover, destroying the remaining fish stocks and sending Bimini’s longstanding client base to seek other, more tranquil getaways, perhaps in nearby Cuba, which is once again open to Americans. 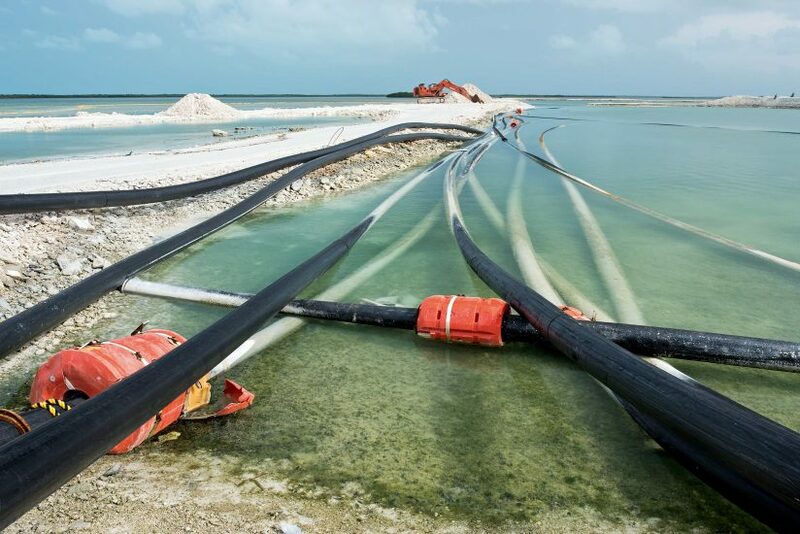 What if Bimini Bay fails? With neither a resort nor a functioning ecosystem, what will be left for Denver and his generation of Biminites? A behavioural researcher from the Shark Lab works inside a shark pen housing a large number of juvenile lemon sharks Negaprion brevirostris. The lab’s scientific research has provided critical information to support elasmobranch conservation and has led to the establishment of a shark sanctuary in The Bahamas and lemon shark protection in Florida, among many other successes. A couple of kilometres north of the Hilton, I walk along a white sandy track that stretches northward. To my right, I watch in amazement as two manta rays glide over the reef and back out towards the horizon. To my left is a scarified wasteland. What would have been a mangrove forest is now hard beige land dotted with broken construction vehicles and half-built villas. After about 15 minutes of walking, I reach a hand-painted sign that reads ‘Road to East Wells’ in black block letters. Further along, I climb to the top of a man-made hill and look out. Beyond the box-shaped skeletons that will become exclusive homes, a large mass of flat land is being extended into the lagoon. Eventually the landfill will spread all the way across the North Sound to East Wells Island, where the last remaining expanse of mangroves not only is ‘God’s own nursery’, but has also protected Biminites from hurricanes for centuries. I continue along the road until I reach a barrier that marks its end-point. Another sign reads ‘End of Phase 1’. For two decades, the Biminites’ protests have gone unheard while the development crept eastwards and they watched it happen like frogs in a pot, adjusting to the slowly warming water and mutely hoping for the best. But, as phase two moves in, life on Bimini is set to reach boiling point. A visitor pets a juvenile lemon shark Negaprion brevirostris. The young sharks are being reared in captive pens as part of behavioural experiments by researchers at the Shark Lab. A few days before leaving the island, I find myself on a small boat watching a glowing wake stream out behind us. It’s 2.30 in the morning, the ocean is dead calm and the bioluminescence is on display. We are out on a long-line check for a tiger shark research project. 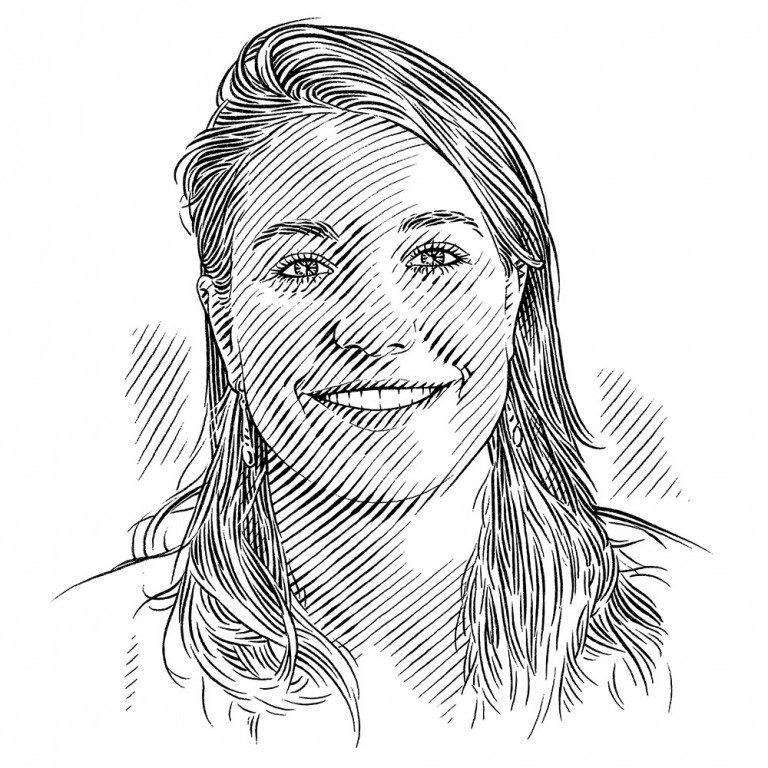 Félicie Dhellemmes, a PhD student from France, is driving the boat; at 25, she is the oldest of the all-woman crew of Shark Labbers. I have been amazed at the competence and autonomy exhibited by the lab’s team of young adults. Now we move slowly as a crew member shines a spotlight onto the line of equally spaced hooks, exhaling in unison at the sight of a huge shadow resting near one of the buoys. Félicie takes hold of the line and tries to pull the shark up to the side of the boat. The huge animal has only just been hooked and immediately starts to thrash, pulling the boat in a circle. My heart is bashing around in my chest and it dawns on me that I have not been this excited for a very long time. With almost no fuss, the Shark Labbers work up the 2.8-metre female tiger shark and we all watch her swim off into the darkness. As we head back towards the Shark Lab, the sky is a shade lighter and I am torn by a strange juxtaposition of emotions. I feel elated by what I have just experienced: to have come that close to such a visceral force of nature and shared the experience with the Shark Labbers. At the same time I feel a deep sense of sadness as I look back at the lights over North Bimini. 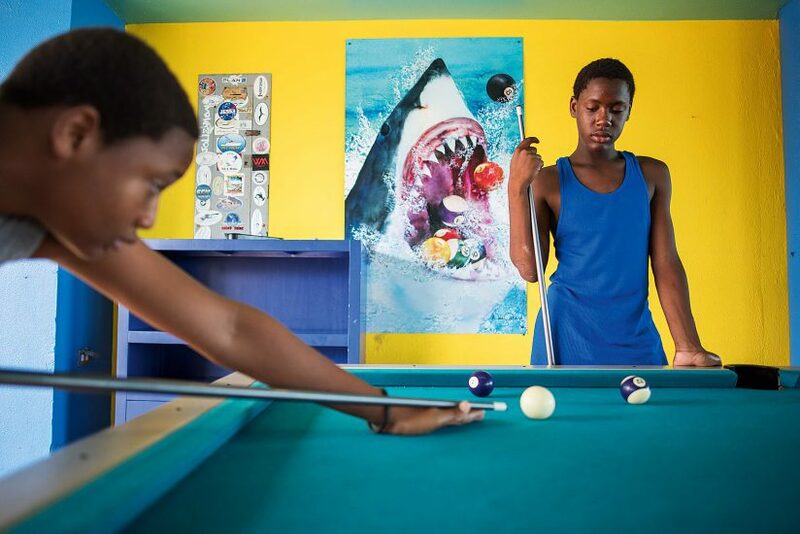 As tenants in The Bahamas, the Shark Lab community cannot get involved in the fight to save East Wells, but they will continue to study here and document the changes as they happen. 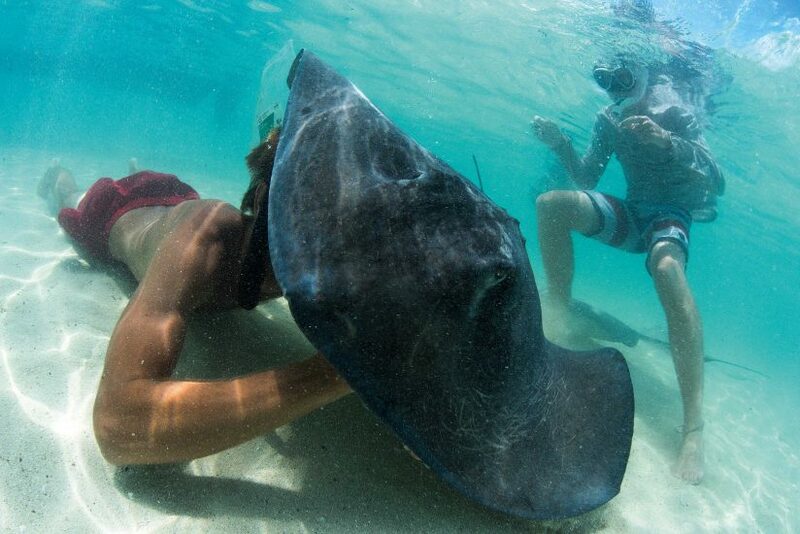 They and Denver Stuart may come from different worlds, but they are all driven by a similar force: to understand and immerse themselves in the natural wonders of Bimini. Perhaps by continuing to do and share what he loves, Denver will move other Biminites to call for a more sensible approach to these little ‘islands in the stream’.